Ghosts and monsters have been spotted all over Adventure Park. Can Emily, Jacob and Frank solve the mystery of the ghost train? Or will they end up as monster's spooky snack? 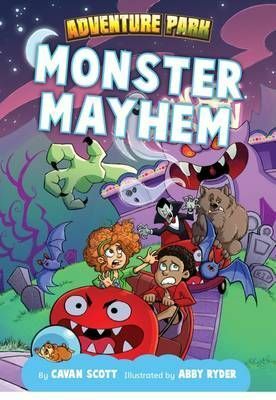 Monster MayhemAdventure Park by Cavan ScottGhost and monsters have been spotted all over Adventure Park. Can Emily, Jacob and Frank solve the mystery of the Ghost Train? Or will they end up as a monster's spooky snack?